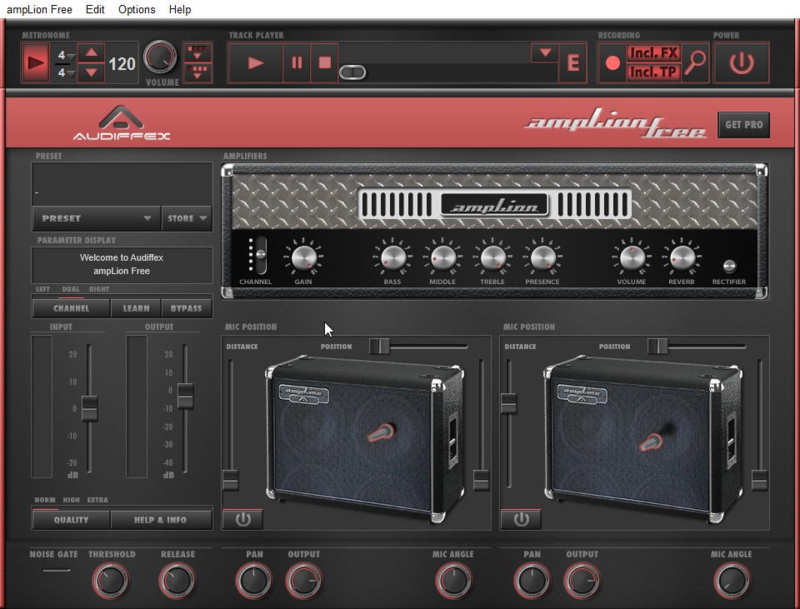 Audiffex AmpLion and inTone 2 Free Guitar Amp VST For Mac. Many vsts are a available for windows platform, but now since the users of mac have grown, many vst developers start to make their products available for Mac users. One of them is Audiffex AmpLion and inTone 2 Free Guitar Amp VST For Mac. This plugin is very easy to install. This virtual instruments and effects live processor is available for free that is the solo version, and the paid version. Amplion free, the guitar amp vst for mac, is fully functioning with 5 guitar channel with two speakers. This guitar amp vst for mac is not only to process guitar sound but also enable music makers to easily play along with soundfile. In addition, you can also record your riffs. While most VST plugins can be loaded in any DAW, this mac version is only for stand alone. But, you can still use it well for music production especially when working with guitar amps distortion, reverb, delays, and more.